A common missed opportunity in the wedding PR world is reaching out to other wedding professionals as sources of new business and opportunities for exposure. We know the power of these relationships, and how to make them work for you. OFD positions our clients as thought leaders. Established wedding professionals become recognized experts in their fields. We coach those interested in increasing their public speaking appearances by assisting as they create their platforms, researching upcoming events, and crafting compelling pitches. We help experienced professionals develop their own business-to-business coaching services, and assist with fostering other innovative relationships that help them stand out from their competition. 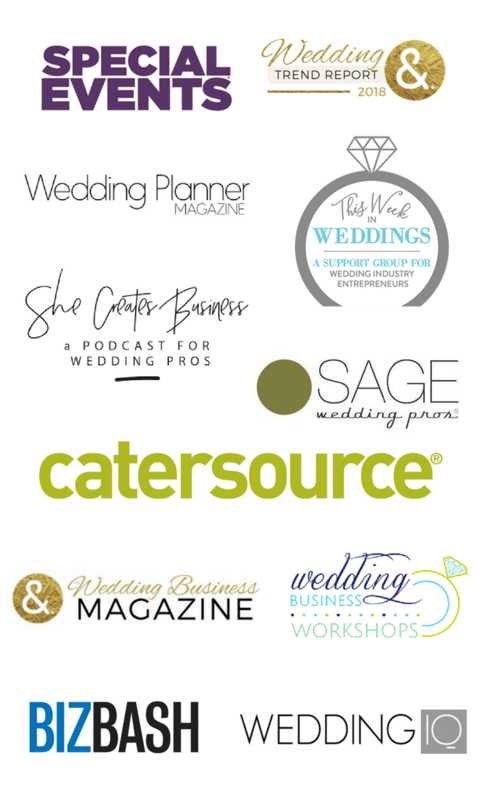 We also work with companies outside of the industry; eager to connect with top wedding businesses to offer complementary products and services that can help you diversify your own offerings and increase your revenue streams. OFD is unique in our powerful business-to-business editorial relationships. We actively contribute to business media, and are at the forefront of helping businesses establish mutually beneficial relationships and practices. We are, ourselves, thought leaders, and our clients benefit from unmatched opportunities to share their expertise, enthusiasm, and profit potential with like-minded businesses.